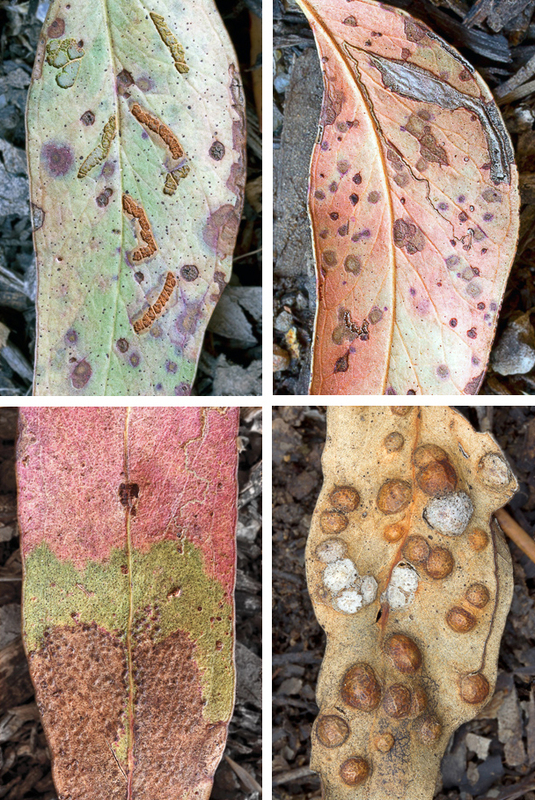 Eucalyptus leaves decompose slowly, especially in dry weather. During the decaying process they change colour and are often munched on by nymphs, grubs and caterpillars. Here are four leaves I found recently with interesting markings and colours. This entry was posted in Trees, Uncategorized. Bookmark the permalink. great snaps! amazing colours and effects-well done!